If you want the cards you carry to fit changes in your life, there are five things you need to know before you make a switch. 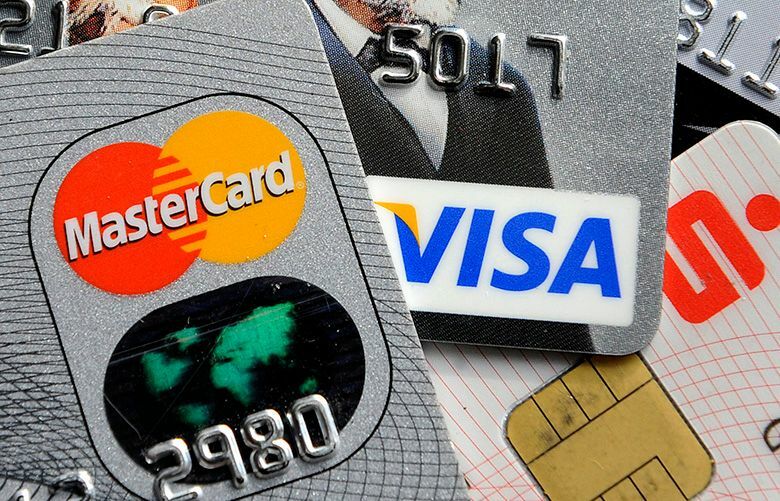 As your life changes, so should your credit cards. The travel-rewards card you used when you were a globe-trotting college grad might not suit you after you settle into a full-time job, marry and have a family. A cash-back card might be better. The question becomes whether you should ask your card issuer to switch you to a more suitable credit card or just get a new card from a new issuer. If you want the cards you carry to fit your life, there are five things you need to know before you make a change. Before you apply for a new card, it pays to do a little reconnaissance, says John Breyault, vice president of public policy, telecommunications and fraud for the National Consumers League. If you want a cash-back card for everyday purchases like groceries and gas, do the places you frequent accept the card? If the card is for travel, is it commonly accepted in the places you visit or by the airlines you fly? If it’s for a balance transfer, you have to be sure the credit limit on your new card is high enough for the amount you want to transfer. If not, “your request for a new card so you can transfer that balance isn’t going to work,” says Linda Sherry, director of national priorities for Consumer Action. You must explain to the issuer what you need before you apply. “Make sure by calling back several times, (and) take names,” Sherry says. After you’ve done your research and decided which card you want, hold off on applying if you plan to make a big purchase, like a home or car, within 12 months. If you’re selective with applications, you can get what you want and minimize potential damage to your credit score. When you ask for a new account or an increase in your credit line, the issuer does a hard inquiry into your credit history — and that can lower your credit score. But if you have good credit, a lengthy credit history and a number of accounts, a hard inquiry should shave only a few points off your score, says Ethan Dornhelm, vice president for score and analytics at Fair Isaac Corp., developer of the FICO score. Be prepared: Your issuer might not agree to give you another card. “If you have a $10,000 credit limit with one company, they may not want to give you another (card) with a large credit limit,” Sherry says. You could run into the same problem with a different card issuer if you have a lot of credit available already. “Take stock of what you have, because that is going to affect what they give you,” Sherry says. But don’t close out your oldest accounts, Sherry says, because that credit history helps your score. Dornhelm says to look at your available credit versus how much you’re using every month. This is your credit-utilization ratio. Lenders want to see a low percentage, so if closing accounts pushes your credit-utilization ratio above 30 percent, that could hurt your chances of getting a new credit card. A super-low interest rate that comes with a new card is called a teaser rate. Federal law requires that a teaser rate last at least six months, Sherry says. But it can be withdrawn early if you’re more than 60 days late paying your bill. • What are all the mandatory fees (application fee, annual fee, balance transfer fee)? • What’s the balance transfer APR, and how long will it last? • How much would you pay each month to clear the balance before the teaser rate expires, and what’s the total in fees and interest? • If you can’t pay off the balance during the teaser-rate period, what will the new rate be? • How much could you afford to pay monthly, and how long would it take to pay off the balance? • What would be your total payout, including fees and interest? When you answer those questions, you’ll know the true cost of a balance transfer card and can comparison shop, Breyault says. If you’re trading a travel rewards card (or a card that gives any non-cash reward) for another card that better suits your life, Breyault says to ask these questions: If you close out the travel-rewards card, what happens to the miles you’ve accrued? Do you lose them? Will they be accessible for a certain amount of time, and does the expiration date suit you? Or, can you get those miles transferred to another card?